I’ve always loved these Cinnamon Rolls, especially at Starbucks. Back when I was a little younger, I’d want to go to Starbucks with friends only to get one of these cinnamon rolls – heated up- with a cold iced-chai latte next to it. 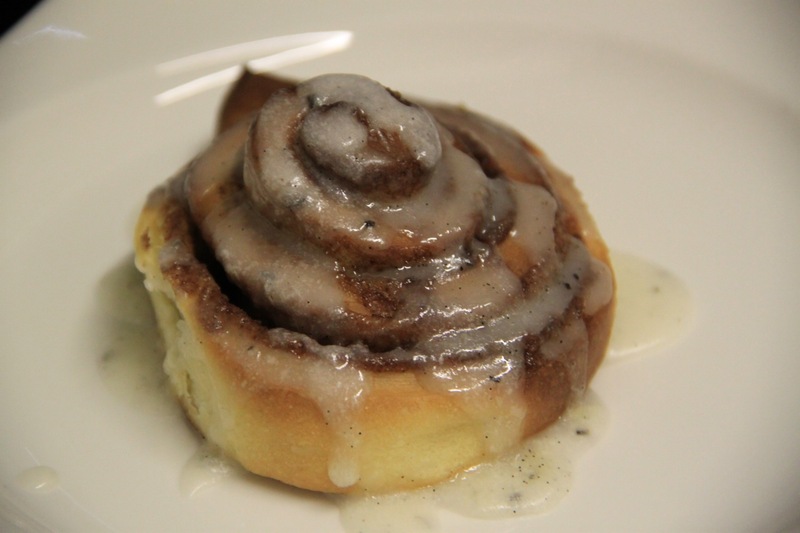 Last week I had a dinner at my house with guests and decided to make a dessert that everyone, especially me, loves: freshly baked cinnamon rolls. I worked with american measurements, so this time with cups and teaspoons. To measure these, I used measuring spoons I recently bought on amazon. Today I want to share with you this super easy to-do recipe. Now lets start the actual baking – it’s so much easier than I would’ve exptected it to be. Mix 1 ¾ cups of flour with the yeast and salt. Heat up the milk, butter and water in a bowl and add the sugar to it. Now mix the melted with the flour and yeast mixture. Next add the egg and anotehr ½ cup of flour and beat the dough some more. Now add enough flour until you have a soft dough (around 1-2 cups). Knead the dough for a few minutes until its soft and well, doughy. Cover up the bowl and let it rest for atleast 20 minutes. I let it rest for about 30 minutes. Once the dough has risen and is ready, roll it out until you have a large rectangle. The dough should be around ¼ inches high. Now cover the rectangle with butter that was is at room-temperature. I simply used my fingers to rub the butter on top – it doesn’t need to be too thick. Simply to get the next mixture sticking to it. Now mix up the cinnamon and sugar and spread it equally over the buttered rectangle. Once you are done, roll up the rectange until you have a large roll. Cut the roll up to achieve around 12 pieces, looking like the above ones (I had around 15 pieces). 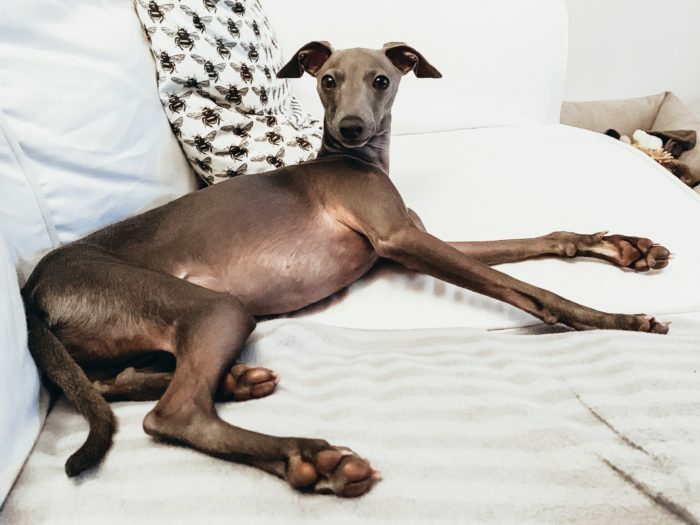 The oven needs to be heated up to 375°F. 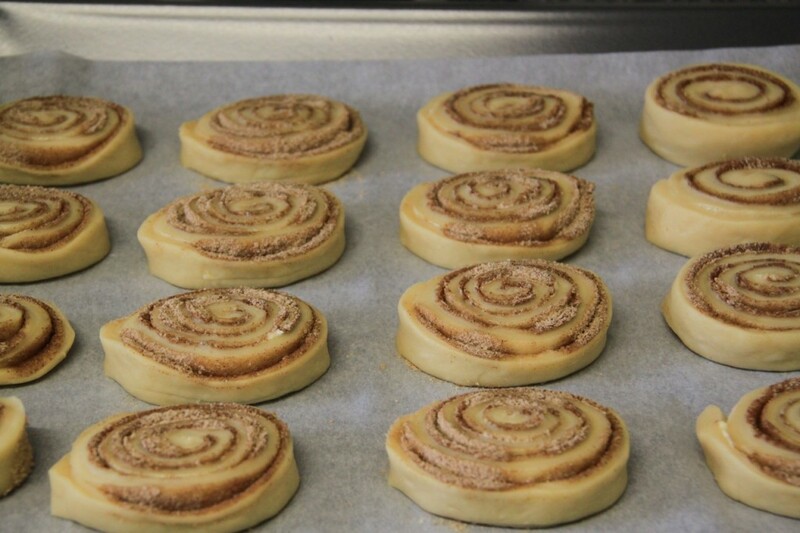 Put the cinnamon rolls into the oven and bake for around 15-20 minutes. 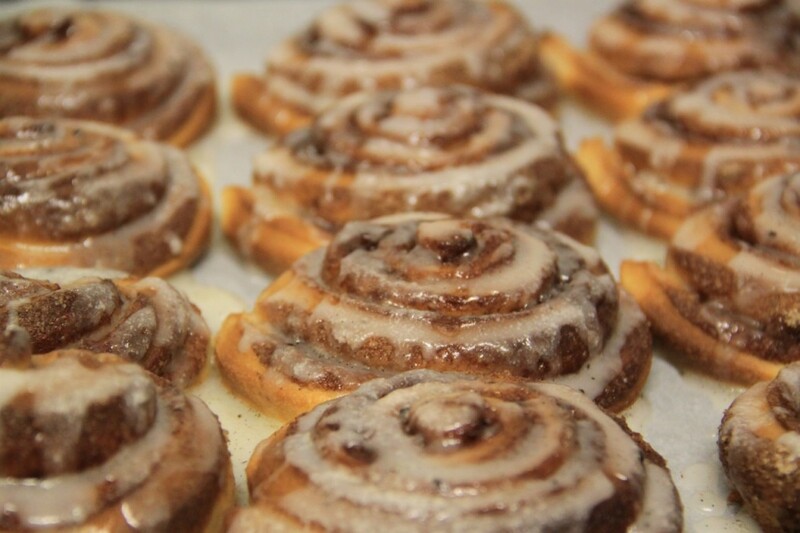 Make sure to keep an eye on the cinnamon rolls, as they rise faster than expected. Once they have a golden-brown color, take them out and let them cool for a few minutes. 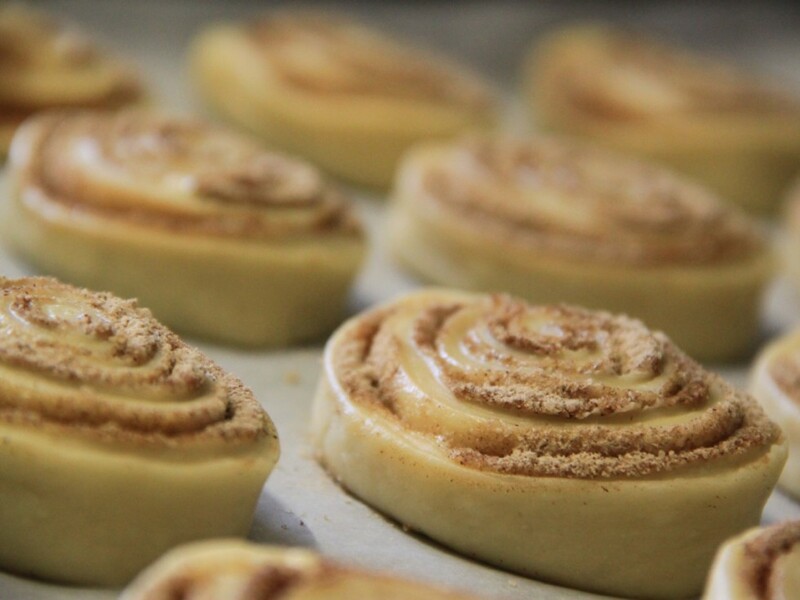 While letting cinnamon rolls cool down, start the topping to glaze them afterwards. For the topping simply mix all ingredients up – basically, it’s pure sugar. Let it drizzle over the, still warm, cinnamon rolls, serve it to your guests or snuggle up on the sofa and indulge. 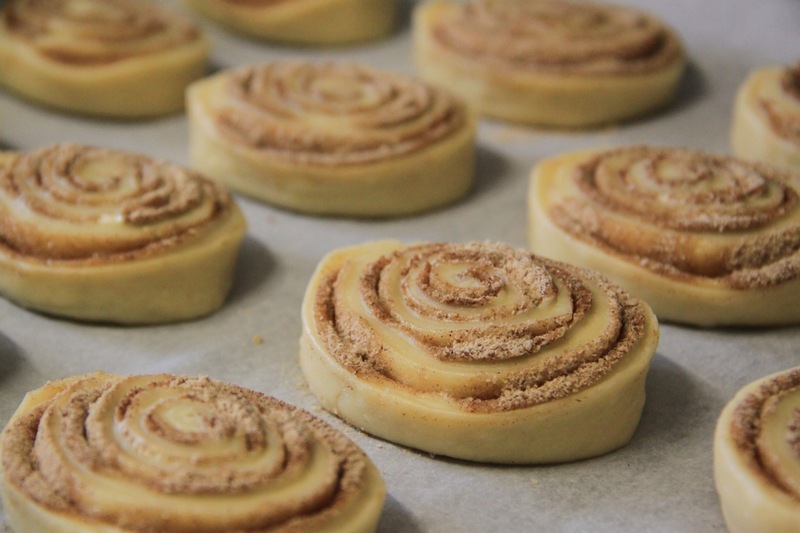 Voila – you’ve got the perfect home-made cinnamon rolls. 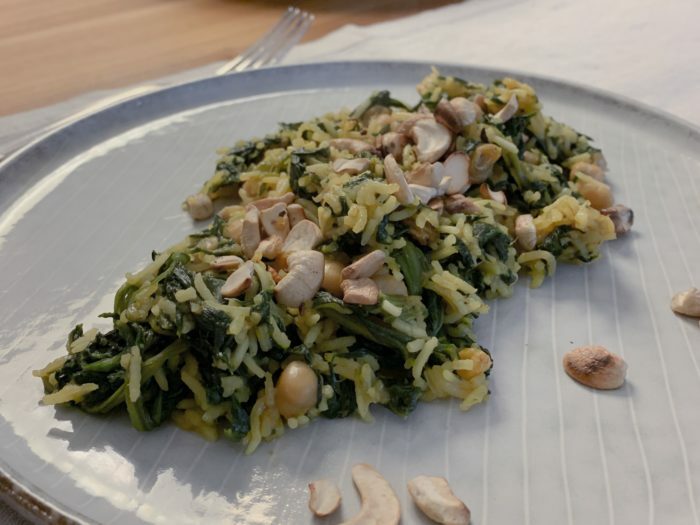 Let me know what you think about the recipe – I really hope you enjoy them! 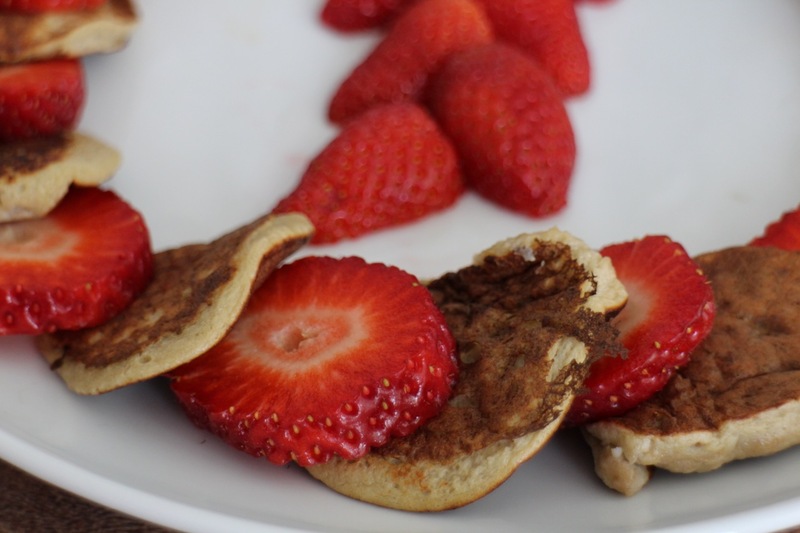 If you like bananas, you will clearly love the following, super easy to do, banana-egg-pancakes. Personally I never really liked bananas as such. Lately though, I’ve been having one every morning – in a banana milk shake. You heard it right: I’m a huge fan of my morning milk-shakes. One, I will share with you soon. For now, I may present you my mini-banana-pancakes. 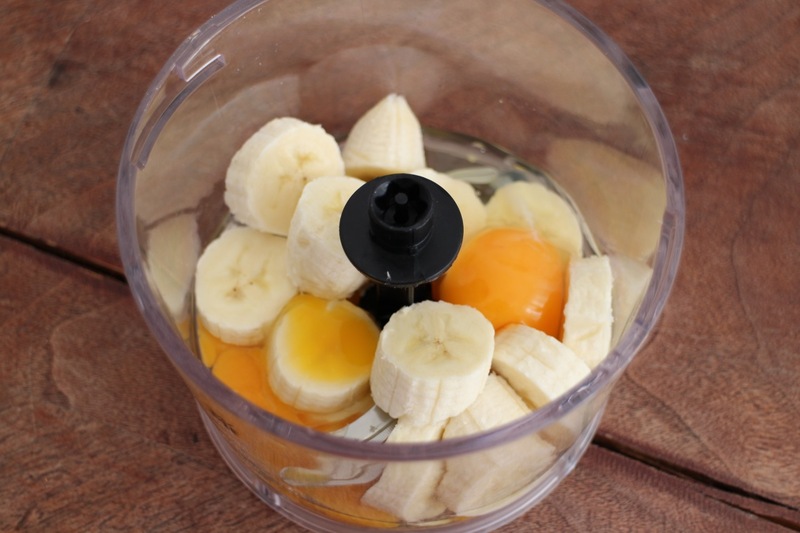 Stir both the eggs and the banana well, until you have a smooth, quite liquified dough. 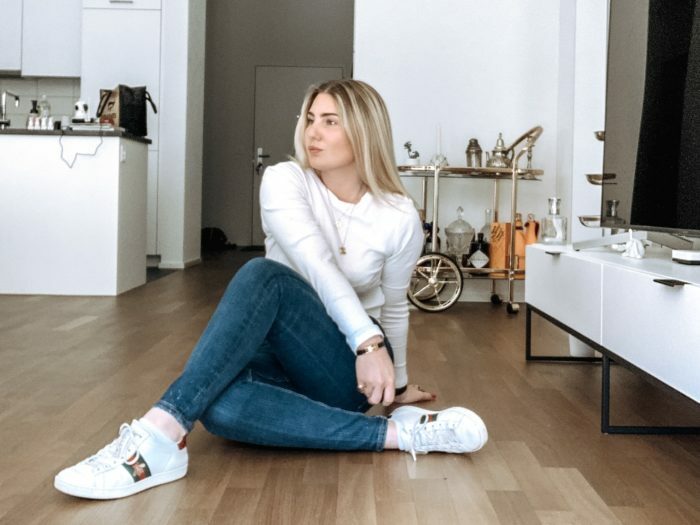 Et voilà – you are most certainly almost done. Now heat up a pan, add some oil – or butter, if you like – and go flip those pancakes through the air. Personally, I decided for small ones. 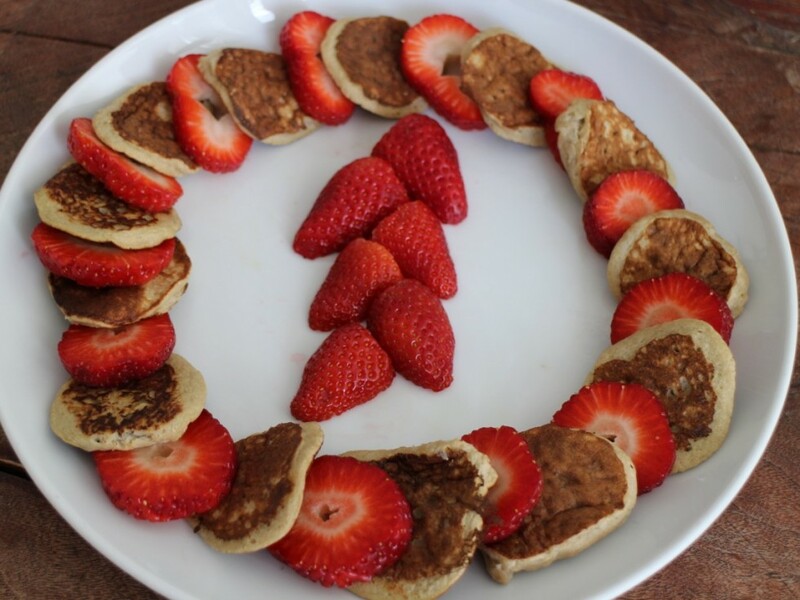 For the decoration – yes, I love pretty food – I added some fresh strawberries.